A large stone wall frames the new floating stair and physically connects the interior living spaces to the exterior approach and entry. At the interior, walnut cabinetry and basalt stone add warmth throughout, paired with calcatta marble slabs at the kitchen to provide for a textural and grounded design palette. 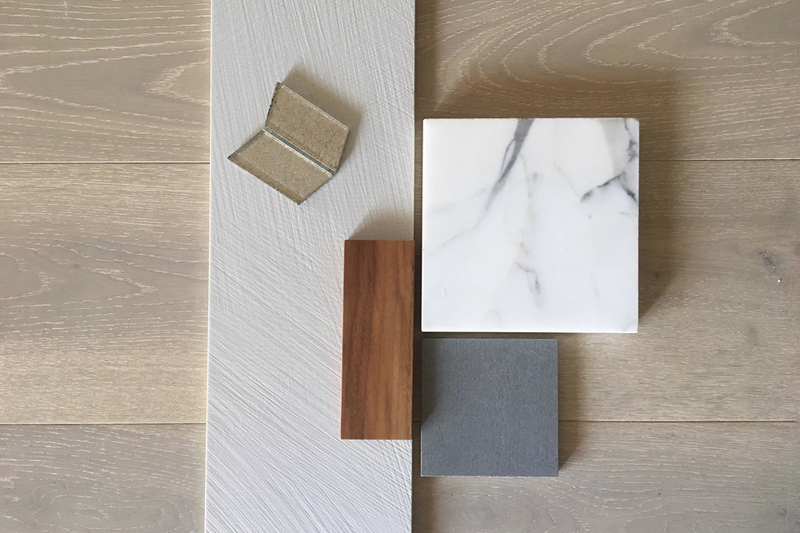 An open floor plan requires thoughtful material selection for continuity and cohesion, and these interior palettes take cues from the exterior architecture and landscape, while also considering function, aesthetics and durability. 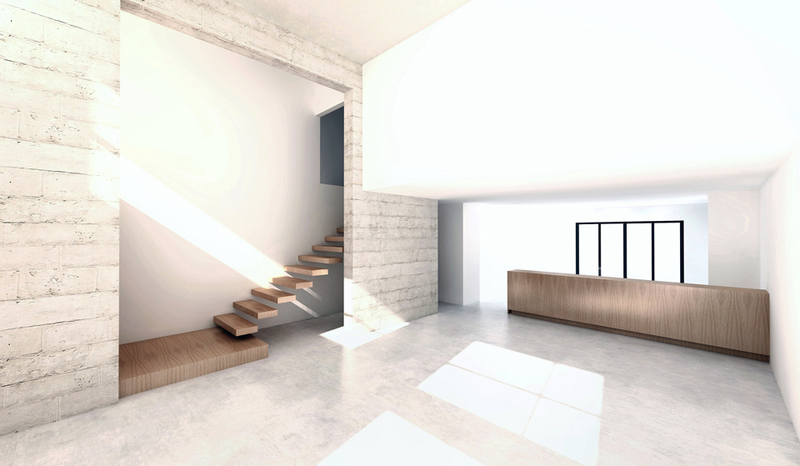 In the meanwhile, view additional renderings and design drawings for more project imagery, and find more posts on modern materials and architectural interiors at MYD blog.